Title: 05/23/1986 - Application of the HCS to non-manufacturing scrap dealers who collect waste metal for resale. 6000 Connecticut Avenue, N. W.
This is in response to your letter of January 13 requesting an "interpretation, ruling, or modification" regarding the Hazard Communication Standard (HCS) (29 CFR 1910.1200) promulgated by the Occupational Safety and Health Administration (OSHA) on November 25, 1983. Please accept my apologies for our delay in replying. You requested that OSHA not apply the HCS to non-manufacturing scrap dealers who collect waste metal for resale to companies that process the scrap to recover its metal content. OSHA received a second letter, dated April 2, detailing what the National Association of Recycling Industries, Inc. (NARI) believes would be the economic consequences should scrap dealers be made to comply with the HCS. For the reasons discussed below, scrap dealers are not exempted from complying with the HCS. However, because of the scope of the HCS, the information transmittal requirements placed on scrap dealers are limited. Generally, the only requirement that the HCS places on non-manufacturing scrap dealers is that they send their manufacturing customers labels and material safety data sheets when the scrap dealers receive labels and data sheets from the employers who had scrapped the materials. This limited requirement is mandated by the HCS and is appropriate in light of the standard's intent and purpose. The purpose of the HCS is to provide employees in the manufacturing sector with information about the identity and hazards of the chemicals to which they are exposed in their workplace. The standard is designed to accomplish this by requiring producers of chemicals (chemical manufacturers and importers) to evaluate the hazard of the chemicals they produce or import, and to prepare container labels and material safety data sheets conveying this hazard information, as well as precautions for safe handling and use. These labels and material safety data sheets are then required to be transmitted to manufacturing purchasers and to distributors who supply these chemicals to manufacturers. All manufacturing employers (Standard Industrial Classification (SIC) codes 20 through 39) are required to have hazard communication programs for their employees, to transmit and explain hazard information to them through the required labels and material safety data sheets, as well as through employee training programs. The underlying intent of these information transmittal requirements in the HCS is to reduce the incidence of chemical source illnesses and injuries in the manufacturing sector. OSHA believes, and the record supports, that when employers have complete information on the hazards of the chemicals in their workplaces, they are better able to devise and implement protective measures for their employees. When employees have such information, they are better able to support and participate in these protective programs, and to take steps to protect themselves. OSHA agrees that the scrap dealers you represent are generally not chemical manufacturers under the HCS. It appears that your clients fall within the SIC codes for wholesale distribution. In particular, those businesses of concern in your letter appear to be classified as SIC code 5093, which are establishments "primarily engaged in assembling, breaking up, sorting and wholesale distribution of scrap and waste materials." They are specifically defined as being distributors under the SIC code classification, and are considered distributors under HCS. As you note, the definition of "distributor" under the HCS is "a business other than a chemical manufacturer of importer, which supplies hazardous chemicals to other distributors or to manufacturing purchasers." 29 CFR 1910.1200(c). The definition of "distributor" is not limited to particular SIC codes. This was done intentionally because OSHA was aware that distributors fall under many different SIC groupings, and the Agency wished to ensure that none were exempted by an arbitrary, and inappropriate, delineation of SIC code designations. 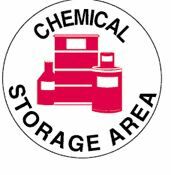 When a distributor receives chemical hazard information from its supplier, the distributor must pass that information to other downstream distributors and to manufacturing purchasers to ensure that manufacturing employers and employees are aware of such chemical hazards. See 29 CFR 1910.1200(b)(1), (f)(1) and (g)(7). With regard to your contention that scrap dealers do not appear to be distributors because they are not supplying "hazardous chemicals to manufacturing purchasers, this argument is not supported by the definitions and provisions incorporated into the rule. All of the primary metals meet the definition of "chemical" under the rule (being elements, or compounds of elements), and generally they would all be expected to present one or more of the hazards covered by the standard (see 1910.1200(c) for definitions of health and physical hazards). In fact, under the rule, many of the metals are to be considered hazardous in all situations by virtue of being included in the "floor" list of chemicals incorporated by reference under paragraphs (d)(3) and (d)(4) of the hazard determination provision. As to whether the scrap metal your clients are handling may be considered "articles," there appears to be some confusion about the "article" exemption codified at 29 CFR 1910.1200(b)(5)(iv). An "article" is a manufactured item that is formed into a specific shape or design for a particular end-use function and which will not release or otherwise result in exposure to a hazardous chemical under normal condition of its use. Id at 1910.1200(c). It may be true that your own employees are normally not exposed to the metals in hazardous form, but the rule's primary, and explicit, purpose is to communicate information concerning the hazards posed by chemicals to employees in the manufacturing sector. As you admit, the normal use for the metals you are supplying to smelters is for them to melt it, thus exposing downstream manufacturing employees to the hazards of the substance. The scrap metal, therefore, does not satisfy the definition of an "article" because it "releases, or otherwise results in exposure to, a hazardous chemical under normal conditions of use." In addition, scrap metal, such as rejected production items and machine tailings, stampings and other metal bits generated as byproducts during manufacturing operations, do not meet the other conditions for an "article" exemption either; they are not formed into specific shapes or designs during manufacture and do not have end-use functions dependent in whole, or in part, upon their shape or design. It is clear that scrap dealers are distributors of hazardous chemicals under the HCS, and subject to its requirements to pass hazard information to other distributors or to manufacturing purchasers. As you noted during a meeting on this subject with OSHA representatives, many scrap dealers purchase their scrap from manufacturers (SIC codes 20-39), and in turn sell it to other manufacturers such as secondary smelters. This is clearly the type of business relationship envisioned as being covered by the rule to ensure the flow of hazard information to employees in the manufacturing sector exposed to the product. Manufacturers and importers are required to provide information on the scrap metal they sell to the dealers. This information must, in turn, be given to the downstream manufacturing purchasers by the scrap dealers. Upstream manufacturers are also required to pass on any information they have regarding known contaminants of the scrap, as would be the case if cutting fluids were present. Scrap dealers are not required to analyze the scrap for impurities or contaminants; only to pass on information regarding the hazards of chemicals known to be present. OSHA is also unpersuaded by your contention that the Environmental Protection Agency (EPA) decision not to regulate hazardous scrap metal under authority of the Solid Waste Disposal Act, as amended by the Resource Conservation and Recovery Act of 1976 (RCRA) exempts scrap metal from OSHA's HCS coverage. The HCS hazardous waste exemption, 29 CFR 1910.1200(b)(5)(i), exempts hazardous waste that is "subject to regulations" issued by EPA. The HCS exemption was intended to avoid duplicate coverage by the two Federal agencies. Where EPA ensures that employees are protected during the processing, handling and use of "hazardous waste," by requiring transmittal of chemical hazard information through labels, material safety data sheets and training, there is no apparent need for OSHA to regulate. However, hazardous wastes, such as scrap metal, not subject to EPA's RCRA regulations are not subject to duplicative hazard communication requirements. Hazardous waste not subject to RCRA regulations is not exempted from OSHA's HCS coverage. Nevertheless, OSHA recognizes that a scrap dealer's obligation to forward chemical hazard information to its customers is limited by the HCS's scope. Scrap dealers do not have to develop or transmit labels and material safety data sheets for scrap collected from non-manufacturers who do not supply such information materials and who are not required by the HCS to do so. Distributors, such as scrap dealers, generally are not required to create their own hazard communication materials; they must only pass on those labels and material safety data sheets they do receive to their downstream manufacturing customers. In addition, OSHA interprets the HCS as inapplicable to certain manufactured items sold as scrap. Establishments within SIC codes 20-39, scrapping worn-out manufactured "articles," such as equipment and office furniture, do not need to develop labels and material safety data sheets under the HCS when such items have not been manufactured by the company scrapping the item and the company in fact, does not have a material safety data sheet for that item. The HCS, places the primary responsibility for chemical hazard evaluation on the manufacturer or importer of the material or substance. 29 CFR 1910.1200(b)(1), (d)(1). 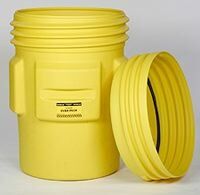 The original manufacturer is in the best position to develop and disseminate this information not only because it ordinarily has the greater scientific expertise with respect to the chemicals it produces or uses in its product but also because it often is the only one who knows the identity of the chemicals. See 48 Federal Register 53322. Similarly, importers are in the best position to either develop the chemical hazard information or obtain it from the foreign manufacturer or supplier. Id. The standard expressly provides that downstream employers may rely upon upstream manufacturers' and importers' hazard evaluations, even if the supplier determines that the item poses no potential chemical hazards. 29 CFR 1910.1200(d)(1). Manufactured items, such as equipment and furniture, that are formed into a specific shape or design for a particular end-use function and which do not release or otherwise expose workers to hazardous chemicals under normal conditions of their use are "articles" exempted from HCS coverage. Employers purchasing these articles will not receive labels or material safety data sheets and, therefore, will not know the actual chemical components or the potential chemical hazards they pose when scrapped. Because there is no requirement that employers analyze items to determine their composition and components, see 48 Federal Register 53334-35, employers purchasing such articles are also not required to acquire knowledge of the item's chemical components or their potential hazards during recycling. Therefore, consistent with the express provisions and underlying policies of the HCS enumerated above, OSHA interprets the HCS as not requiring employers to create labels and material safety data sheets when they scrap manufactured articles, such as equipment, piping, radiators and furniture, when the employer scrapping the item did not manufacture it and, in fact, does not possess a material safety data sheet for the item. However, employers must pass on any information they have regarding hazardous ingredients or contaminants they may have added to the article, as would be the case if an employer is scrapping pipes that had contained a hazardous chemical and continues to contain its residue. In addition, "article" manufacturers that sell for scrap those produced items that fail specifications, are considered by OSHA to have the requisite knowledge of the item's constituents and are required to develop and transmit appropriate hazard information for these rejected items to downstream scrap dealers, secondary smelters and other manufacturing purchasers. We appreciate NARI's comments regarding coverage of scrap dealers under the HCS if the scope of the rule is expanded to the non manufacturing sector. As was stated in the advance notice of proposed rulemaking on this issue, OSHA is considering expanding the HCS to cover all employees to hazardous chemicals. Of course, where employee exposure to hazardous chemicals is limited, the duties under the rule would be limited as well. Thus the regulatory burden would not be expected to be significant in workplaces where there are few hazardous chemicals. In any event, the future extent of coverage of employees in your industry will only be determined through the rulemaking process and we look forward to your organization's continued input. In addition to the points raised in your letter, there have been other issues discussed which relate to the coverage of the scrap industry to which we would also like to respond. The first deals with the need to label every bulk shipment of scrap metal. The standard clearly requires that every shipment be labeled under paragraph (f)(1). Appropriate labels, therefore, must be either attached to, or posted on, or placed with the shipping papers in the vehicle. We understand that some members of your industry feel these labeling methods are inappropriate or unnecessary. Some have requested OSHA to permit labels to be separately mailed to manufacturing purchasers. Others suggest that labels need only be sent or mailed at the time of the first shipment of the item, and thereafter only if the label is changed. Clearly, neither of these suggestions are permitted under the present HCS, nor are they appropriate for incorporation. HCS labels serve purposes other than merely informing a downstream employer of a chemical's identity and potential hazards so that he might, in turn, inform his employees. For example, labels accompanying shipments warn employees receiving the shipment of the cargo's chemical hazards. The label quickly confirms the shipment's identity and the hazard it poses. Mailing a label separately would not serve employees that handle the incoming shipment. In addition, although the HCS's primary purpose was to protect manufacturing employees from chemical hazards, labels are expressly required on all containers of hazardous chemicals shipped by chemical manufacturers, importers and distributors regardless of their destination, so that all workers, manufacturing and non-manufacturing, will be alerted to the presence of hazardous chemicals and the availability of more detailed hazard information elsewhere. Mailing labels to manufacturing purchasers will bypass those employees involved in transporting the hazardous chemical or goods. An issue we would like to address additionally concerns material safety data sheets developed by trade associations and their members. It is our understanding that the Association of Recycling Industries and other scrap associations have developed material safety data sheets for the primary metals their members are dealing with, and these available for distribution. It appears that, if a scrap dealer has material safety data sheets for a metal, regardless of the source of that data sheet, as a dealer is distributing the same metal it will be easy to meet the requirements for material safety data sheet distribution. However, from a compliance standpoint, OSHA would make the scrap dealer responsible for the content and accuracy of information on the material safety data sheet and not the Association that prepared it. OSHA will make an effort to notify the trade association of any discrepancies found on material sheets they developed to ensure that other members have corrected copies. 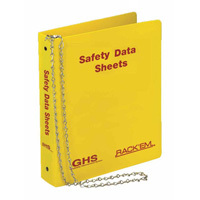 Material Safety data sheets only have to be provided to manufacturers or Purchasers once. No further transmittal is required unless there is a change in the information regarding the hazards or the ways to protect against the hazard. This would not be expected to occur very frequently. Of course, scrap dealers are entitled to receive material safety data sheets from the manufacturers which will provide them with additional information as well. I hope this information is helpful to you in understanding the requirements of the HCS to your industry. If we can be of further assistance to you, please do not hesitate to contact us. Entry last updated: Saturday, July 16, 2016. This hypermarked and content-enhanced page is copyright 2001-2019 by ILPI, all rights reserved. Unauthorized duplication or posting on other web sites is expressly prohibited. For questions, comments and concerns, please contact us at our MSDS email address.